I’ve been pretty busy the last few weeks and haven’t really just had time to sit and think up anything spectacular in the food category. I’ve been getting by with stir fry, tofu and rice, oatmeal, grilled veggie tortilla wraps and a few salads, mainly fast and simple things. Last week I decided to make it fun and tasty. I mixed together a few things and pulled out pretty much every condiment and topping we had to create some super simple, delicious and surprising little burgers. We both enjoyed them with some sweet potato fries and talked about the flavor combination we ended up getting. I suppose you could make them all the same, but it was fun having all the different colors and flavors on each slider. 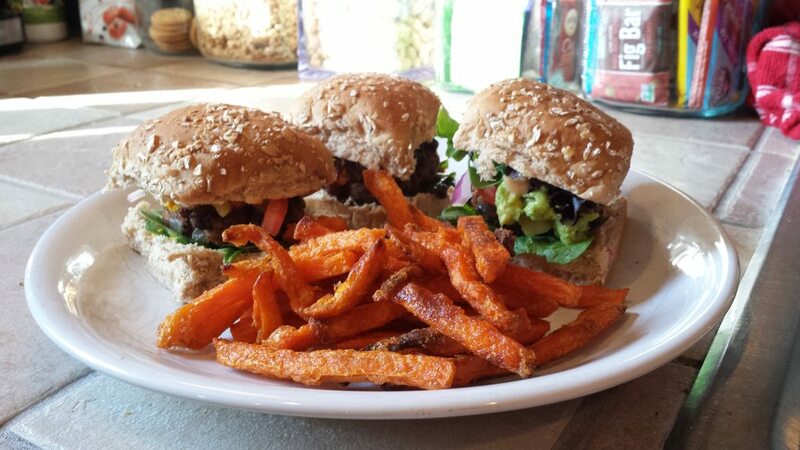 This entry was posted in Recipes and tagged avocado, black bean, black bean soup, burgers, gardein orange chick'n, guacamole, miso mayo, pad thai, red bell peppers, summer, teriyaki tofu, vegan sliders, vegenaise, veggie tortilla wraps, whole wheat rolls.